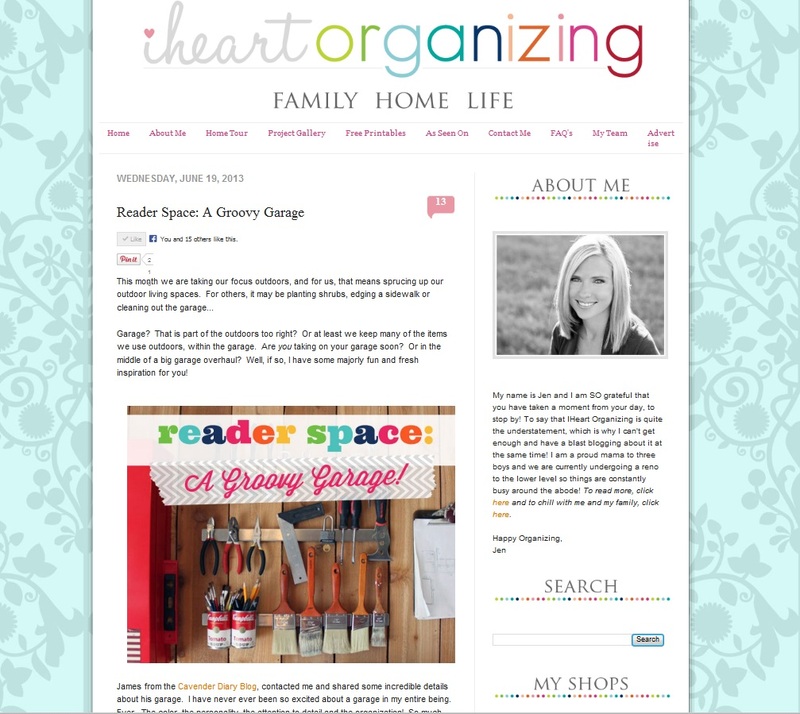 Guess who’s Garage perfection was showcased on I Heart Organizing……. It’s our garage, ………..but I think y’all knew that’s where I was heading. Jen Jones manages a family of 5 (3 small boys mind you) and 2 seperate blogs. I Heart Organizing, detailing her super-human skills for keeping everything in it’s place, and Keeping Up With the Jonses, following her life and the 4 men in it with her. I just saw your garage on I Heart Organizing. It is the most amazing garage I have ever seen. Probably more amazing than a lot of LIVING rooms I’ve seen. I am so inspired. Thank you for sharing. Awwww Bella, we couldn’t love it more than we do! Of course that’s where we keep the beer !